Last November I received some emails from Alex. Briefly, she asked me to illustrate a few of my photos. And I accepted.The reasons that I accepted are were obvious and easily understandable, but since you want everything to be so literal, here are the reasons: a) it's the first time that someone asks me to illustrate my photographs, could I refuse? Um, no I couldn't. 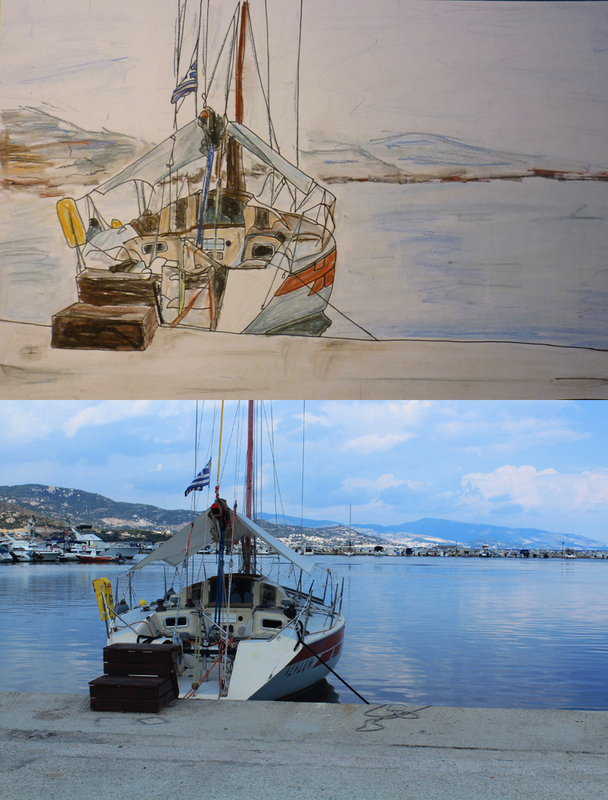 b) painting is really anxiolytic for this girl and moreover she had her exams, so here's another reason, c) I like her messy style, strokes here and there, and strokes everywhere d) her dad had his birthday and she gave to him, the following illustrated sailboat. When a picture of yours, becomes a cause for a gift, that's when you can't say no. I guess that there are some more -totally selfish- reasons which made me take a desicion, but I really can't recall them right now. So let's stick to these. Alex is interested in fashion and portrait illustrations and she improves her techniques every day. She is the sweetest too. Now it's time to take a look at her art! Alex's illustration and this sailboat that boat from my summer's vacation. The second illustration is based on Vasilis Ioakeimidis' photo for our "Follow your Heart Project".